In most extrusion processes, several raw materials pass through a complex process chain. The key factor is that every single process step is optimally geared to the overall process. Only in this way is it possible to produce tailor-made, high-quality products in a stable, resource-saving, energy-efficient process. 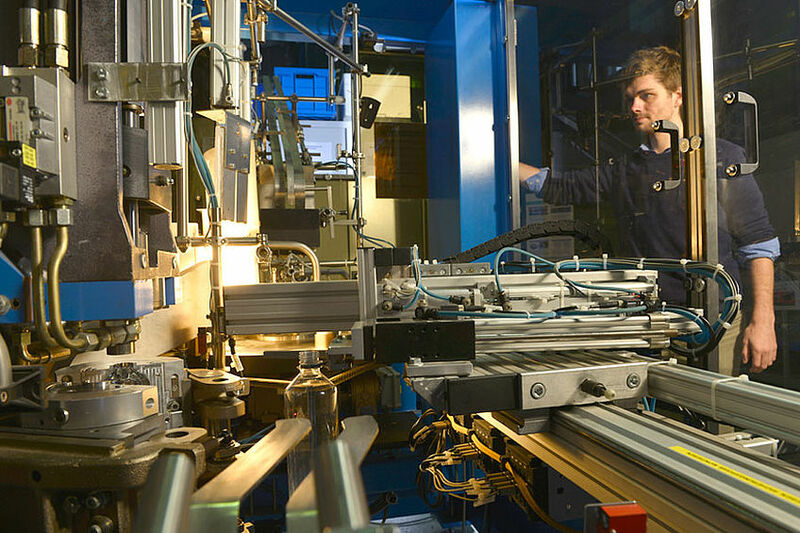 Our scientific assistants research the entire extrusion process chain – from the initial compounding and the design of the screw, die and process, through to further processing and quality assurance. A central characteristic of our research activities is the integrative approach to all the process steps. This makes a decisive contribution to their relevance for practical application and the quality of our work. 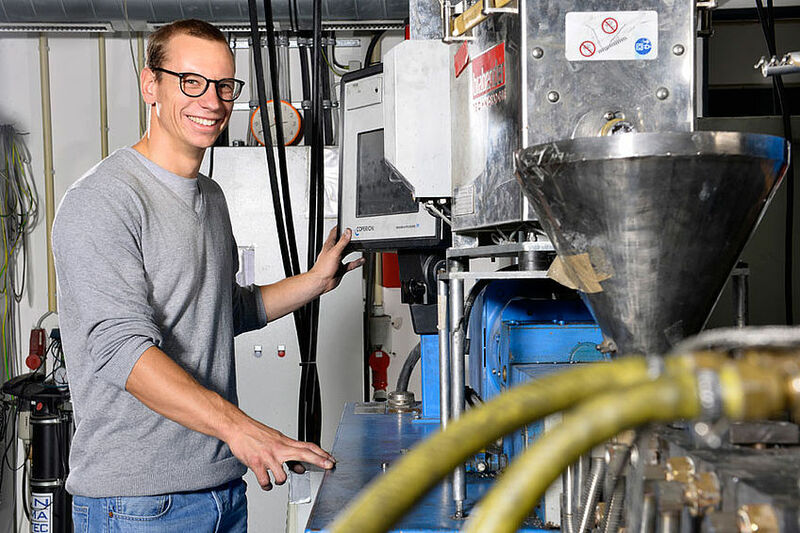 For our research work, we can call on an excellently equipped extrusion pilot plant. Extrusion is the most important process for the continuous production of semi-finished and finished products made of plastic. This can be seen, for example, from the quantities of raw materials processed by extrusion each year. The fields of application for this processing technology are extremely varied: Extruded products range from packaging in the food and consumer goods segment, through technical profiles for furniture and window frame production, to blow-moulded products for beverage containers and fuel tanks. Over and above this, extrusion technology is also used for the processing and compounding of thermoplastic materials. The application-related research and development work carried out at IKV is characterised by the integrative approach for all process steps. Only in this way is it possible to produce tailor-made, high-quality products in a stable, resource-saving, energy-efficient process.